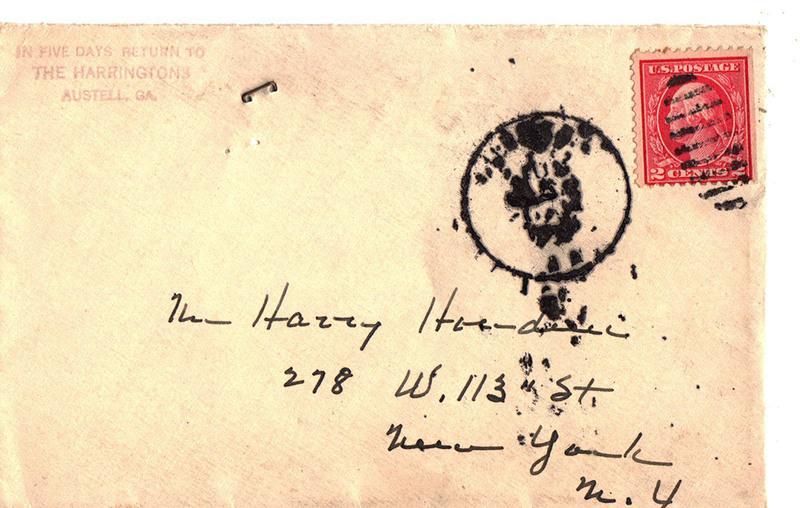 The postmark is smeared and illegible. 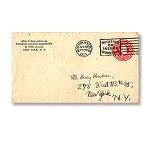 The return address is The Harringtons, Austell, GA.
Albert B. Harrington (1875-1936) was a unique mentalist who performed a musical mindreading act with his wife. Members of the audience would select songs and A.B. would telepathically send the names of the songs to his wife, who would then play the songs on the piano. 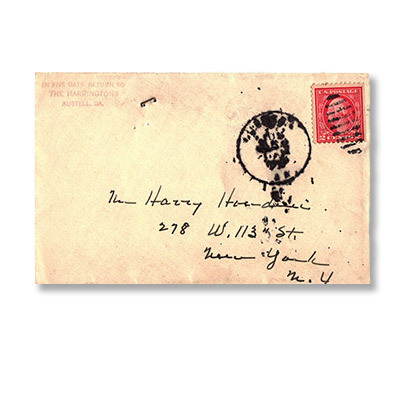 Houdini and stage mentalists like the Harringtons had a lot in common- half of Houdini's stage act during the 1920s consisted of demonstrations of "psychic" abilities. Perhaps A.B. was sharing some secrets with the master, or maybe just complaining about all the fake mediums who were thriving at the time! Buy this item - get 70 Rewards Points!